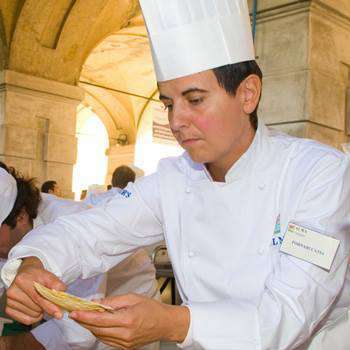 She has an accounting high school diploma and after an experience as the mayor of Savignano sul Panaro (Mo) she has decided to follow her dreams, becoming a chef. 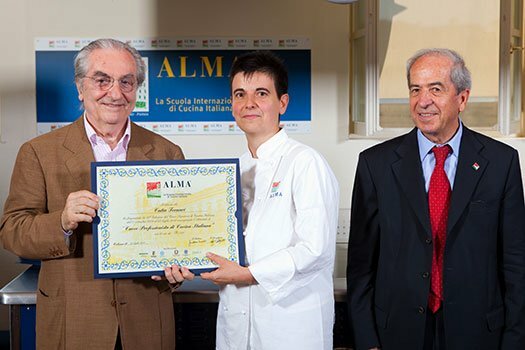 She has attended one of the best International Cuisine School dedicated to the Italian Cuisine: ALMA, directed by Master GUALTIERO MARCHESI, at the Reggia di Colorno, where many worldwide famous chefs have studied. Master Gualtiero Marchesi personally consigned her the Diploma when she graduated in 2010. We are constantly and carefully looking for the best local suppliers. 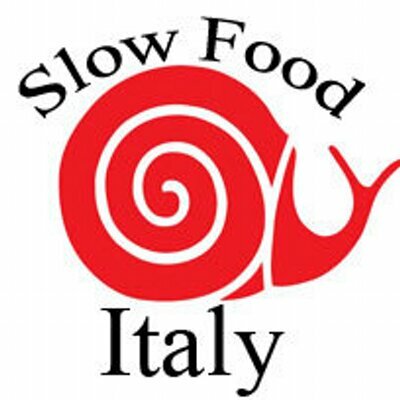 We appreciate and choose those who respect nature, animals and plants, and the Good, Clean and Fair rules, the ones promoted by Slow Food.